Photographing an engagement session in New England mid-January can mean dealing with frosty temperatures. Fortunately Elizabeth and David are avid gym-goers and had the idea to use their local Crossfit in Topsfield, MA for the shoot. Without anybody else around we were able to implement some cool ideas they had come up with. Shortly after our arrival the two lovebirds were hanging up in the air. 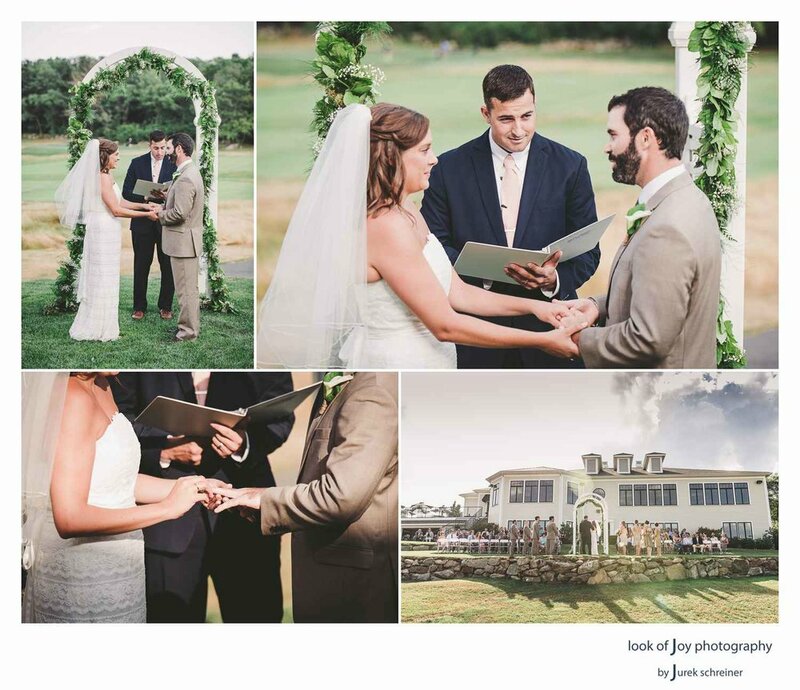 To symbolize their wedding at Gloucester's fabulous Bass Rocks Golf Club was soon to come, they literally tied a knot with the ropes. They also pulled off a 'Spiderman kiss', another great idea I loved. After creating more fun shots to celebrate their engagement, me moved on to the rustic Gould Barn, located in Topsfield as well. The sun was out and it was surprisingly mild, and we all enjoyed the warm afternoon together. Elizabeth and David continued to show their affection for each other while bathing in the sunlight. Eventually we captured even their sweet dog Kona in a number of photos. The weather was starting to get warmer, and Rachel and Mark and myself decided it was finally time to visit the beautiful Castle Hill on Crane Estate in Essex, MA to document their engagement with some special portraits of the two of them. In the early morning of a Monday we had the place just for ourselves. I personally love Castle Hill anyway, but I feel it was such a good location for Rachel and Mark. I had come to know that they are far more interested in the humanities and how life works, than in spending lots of time online or social media. Crane Estate, with its vastness and old building construction, wonderfully reflects and accommodates this. And as our engagement session went on, they were able to express their love for each other more and more in front of the camera while they were discovering the beauty and new renovations of this classic venue. Additionally, Rachel had expressed her concern for not being photogenic during our first consulation meeting for their wedding, but I have to say I cannot confirm this whatsoever! 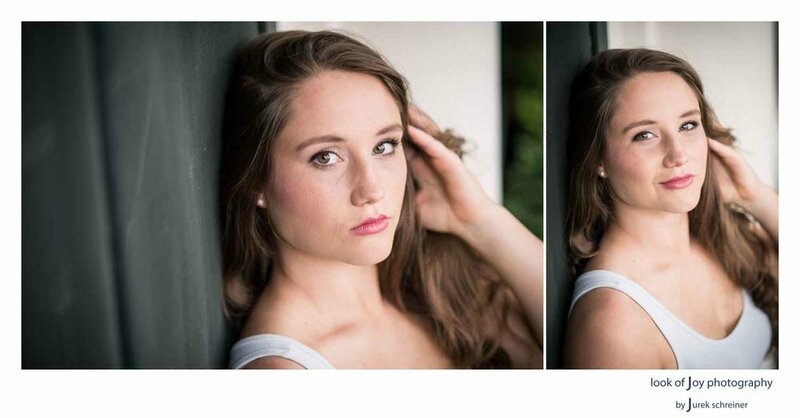 Find out for yourself in the images below. Click here to see the video slideshow of their highlights. Enjoy! 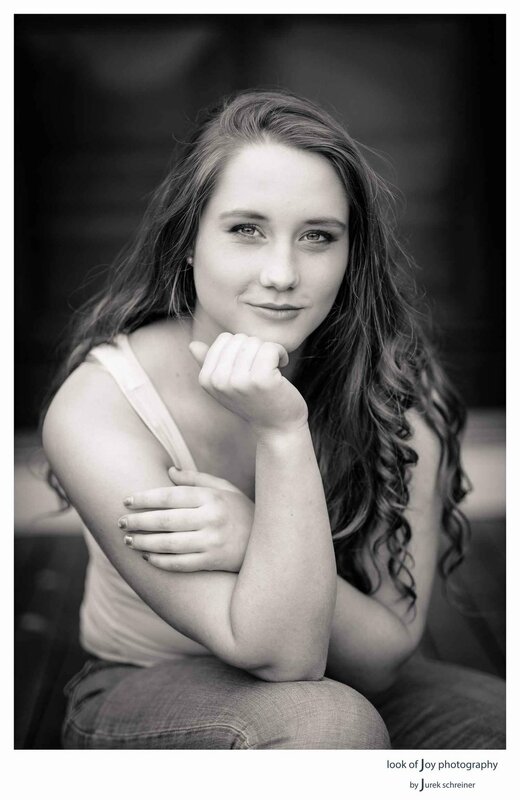 At Look of Joy Photography our motto is to "capture joyful moments of joyful people". The Girards are a perfect example of a joyful family. We love being out there, scouting beautiful locations to create these special portraits of families that will be cherished for many years to come. Coolidge Reservation in Manchester-by-the-Sea, MA is a wonderful place for this. Here are some impressions from our session in Fall 2015. May they warm your heart and bring some sparkle into your eyes. I love this story: One week before an upcoming trip to California I received a phone call from Ellyse. She was inquiring into my services for her upcoming wedding in Gloucester. She comes from the Boston North Shore area but lives in Los Angeles together with her fiancé Robert. During our talk we realized that we would be able to meet up in person and also do their engagement images during my trip to Ventura county. We eventually found a day for our get-together. They were traveling south back home to LA and wanted to meet earlier than my preferred time for the right lighting. Due to my duties it got later though, and after having gotten to know each other briefly we headed off for some portrait action. We went to Downtown Ventura and made use of the last rays of light from the winter sun hitting the streets. Then we jumped into our cars and drove to the close-by State Beach and its beautiful pier. 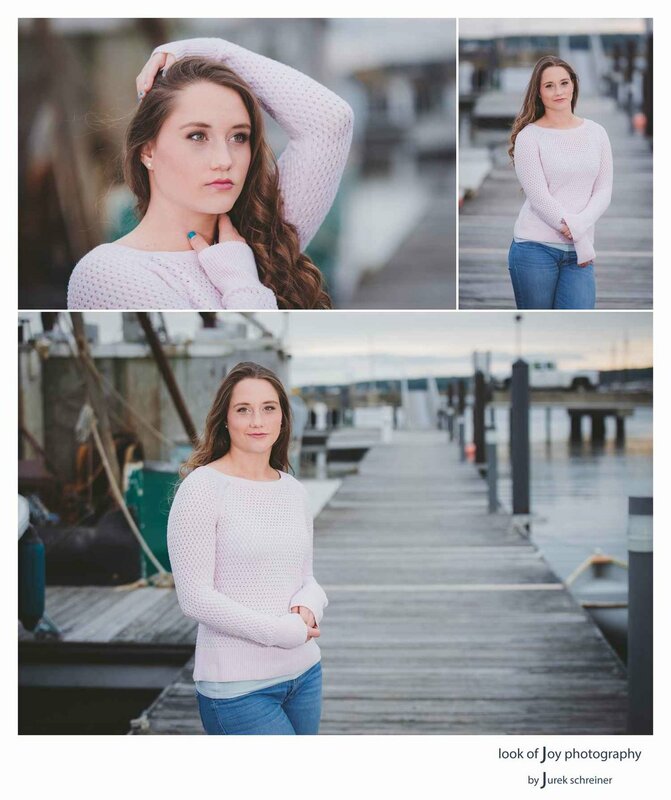 The sun was about to set, and we spent some time on and around the pier for some really gorgeous images of these two love birds. What a fun and relaxed couple! 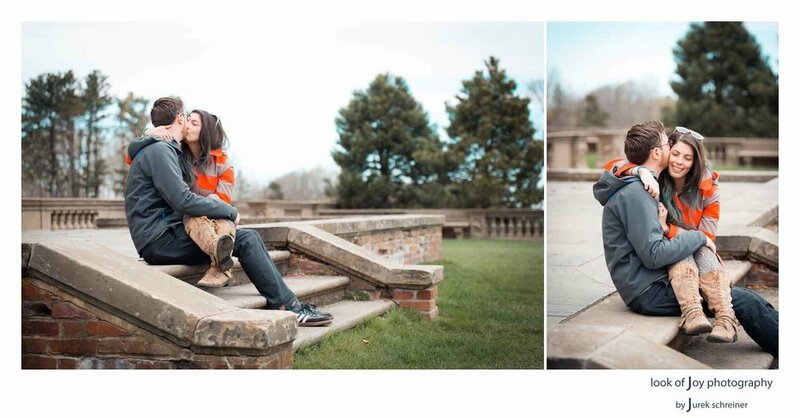 We all were so glad that we were able to meet and create their engagement photos, something they didn't think was possible due the different locations. 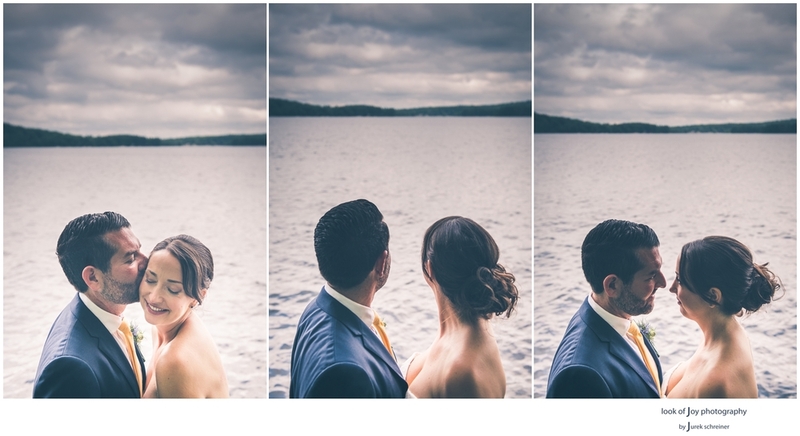 I'm already looking forward to document their wedding on Cape Ann next year. I met Ashley the first time in Gloucester's awesome restaurant Short and Main. 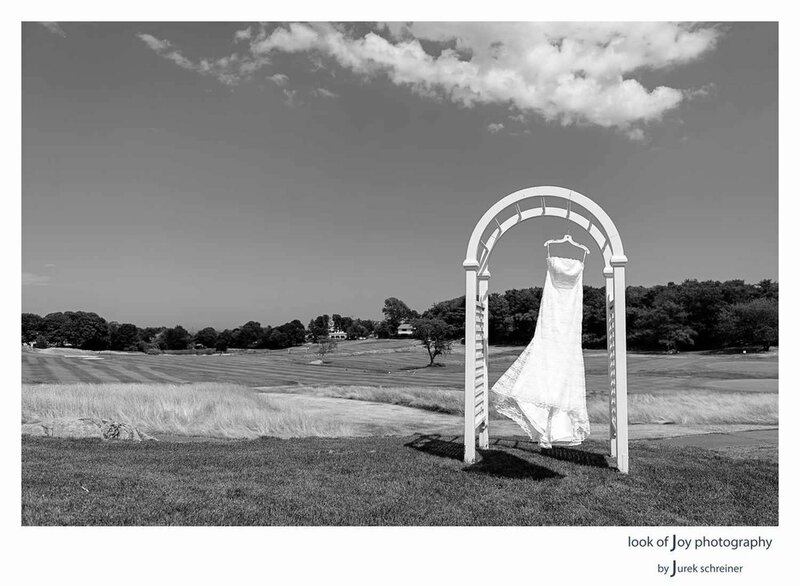 Before even discussing their ideas for their 2016 wedding at the Bass Rocks Golf Club in Gloucester, MA, we talked about various topics including Ashley’s film studies in LA. I quickly felt we were on the same wavelength. Soon after they booked Look of Joy Photography we met at Good Harbor Beach for their engagement images. They told me at the beginning they were nervous but I barely noticed it. It only took them minutes and they seemed as if they had forgotten about me and were able to truly display their love for one another. 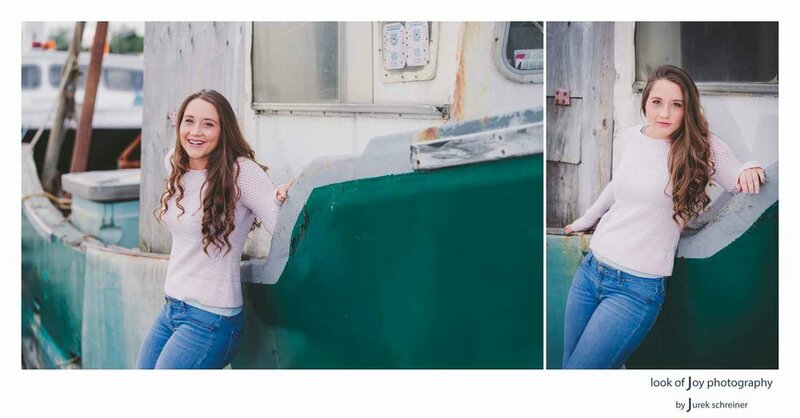 We explored various spots on the beach and ended the session in the industrial area of the Gloucester harbor with its special raw energy. What can I say? 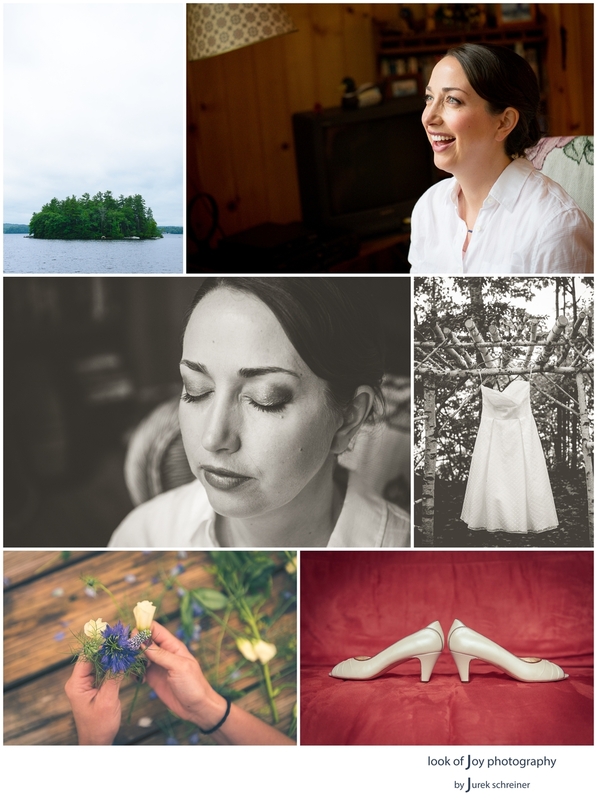 Traveling to a private island in a lake in New Hampshire to photograph a wedding can hardly be trumped, can it? Yes it can. 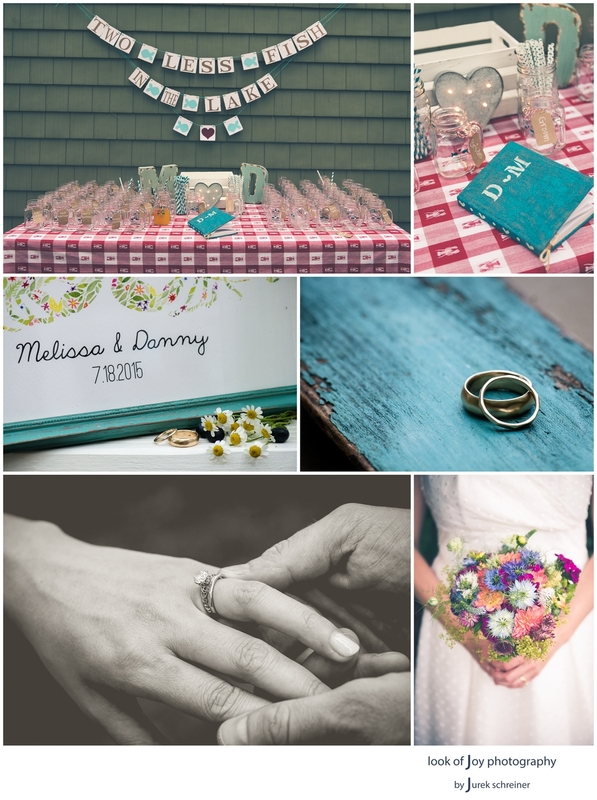 When two people as fun and cool as Melissa and Danny are the ones who get married. The chances for rain were decent that day but in the end the weather and the light helped making this great day even better. Caswell Island on Bow Lake has been owned by the family for decades, and Melissa and Danny flew in all the way from San Francisco to celebrate their marriage on this hidden gem of an island. 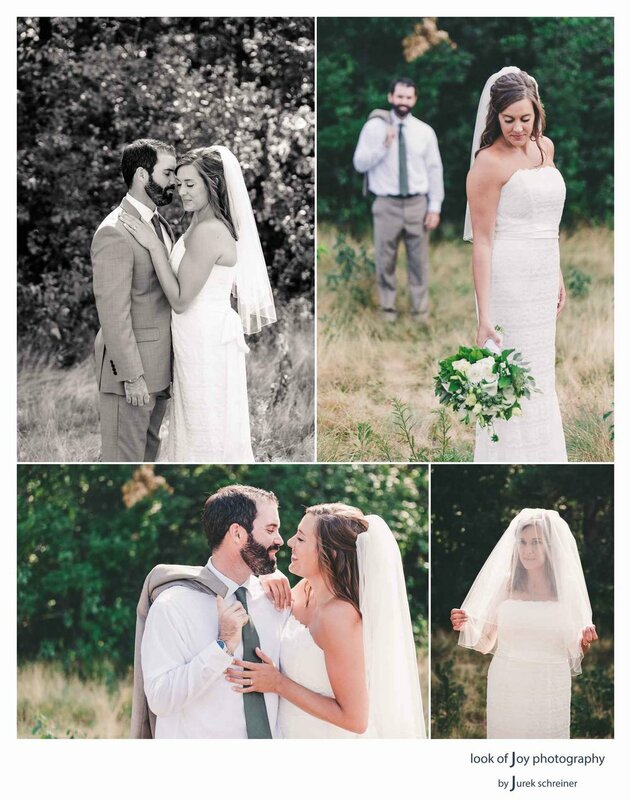 With fun guests and a lot of rustic DIY elements it was truly an awesome wedding. 'You can lead a horse to the water but you cannot make it drink.' As a wedding photographer one has only a certain amount of control about how direct a couple and capture their way of being. Melissa and Danny were rockstars and seemed to have so much fun in front the camera. They goofed around on a regular basis but also knew how to forget about themselves (and me) and become intimate with each other. Leanne and Dave's job has to do with modern machinery. 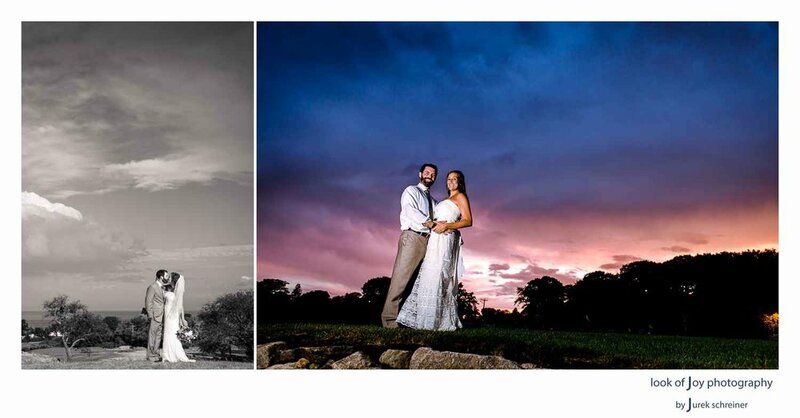 For their wedding at the stunning Castle Hill at Crane Estate in Ipswich, MA, they wanted to travel back in time a bit though. The venue is an example of classic beauty and surely helps accomplishing this. 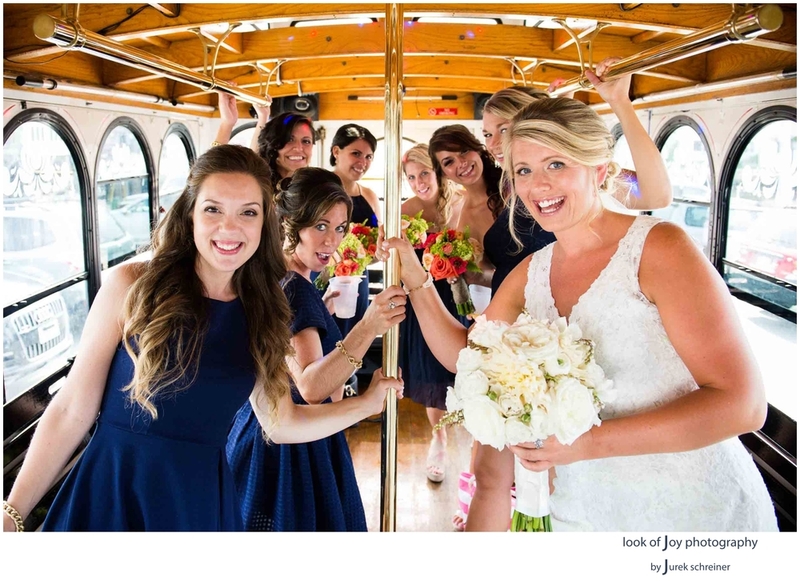 Leanne and her bridesmaids got ready at the Double Tree Hotel in Danvers, MA first and then made their way in a limo over to Castle Hill. 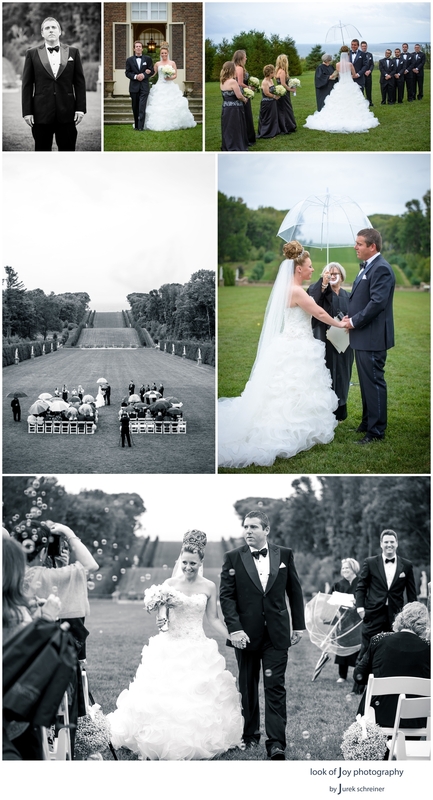 The rain set in just when the ceremony was taking place on the amazing big lawn of the Crane Estate, but it was only afterwards when everybody needed to seek shelter inside. 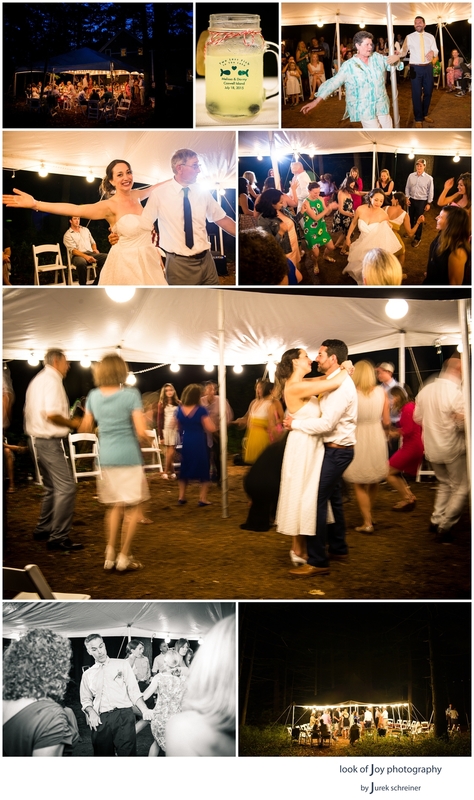 Leanne and Dave are great, authentic people that know how to celebrate and dance! Check out Leanne's hairdo (it's out of this world!) and her equally gorgeous dress. 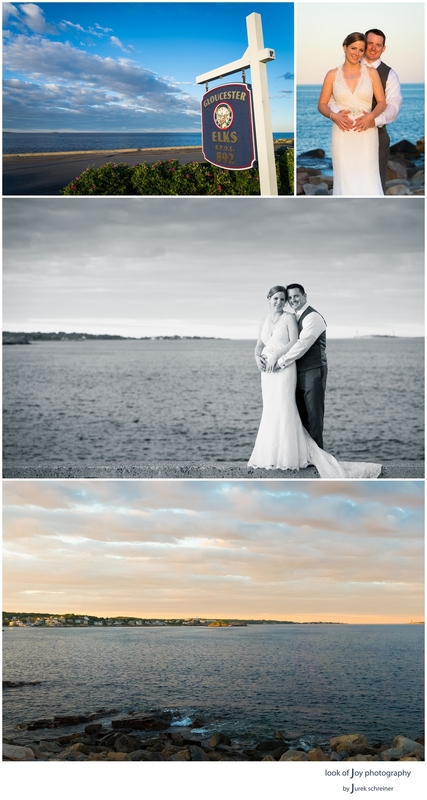 Katlin and Nate's wedding took place on a beautiful summer day in Gloucester, MA, which is part of Cape Ann in the very east of the Boston North Shore. Both live in upstate New York but have family connections in Gloucester. It was an amazing day and the weather was truly on our side. Katlin arrived at the St. Anthony Chapel, where they would get married, in a gorgeous old Rolls Royce limousine. 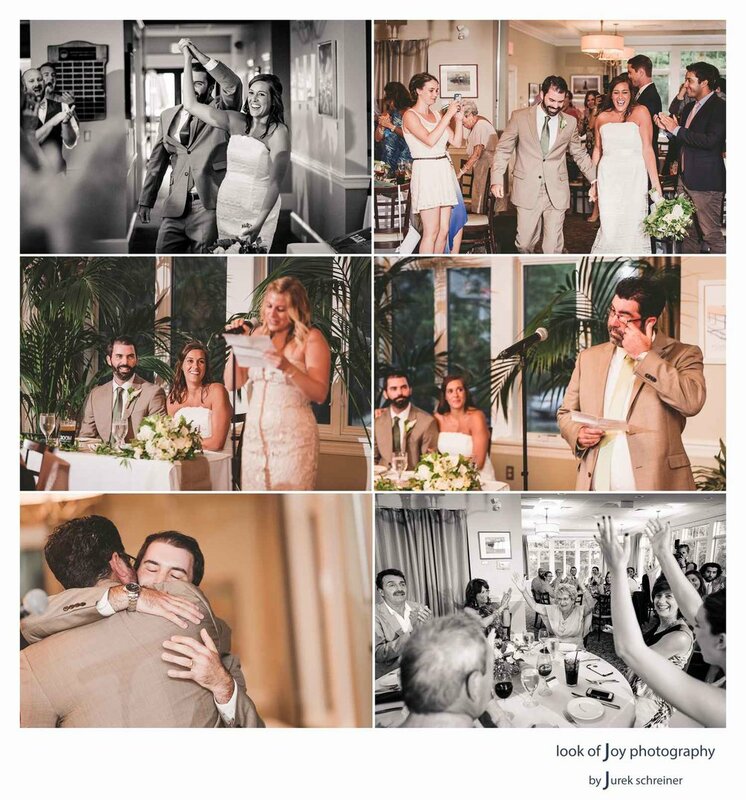 The reception then took place at The Elks at Bass Rocks, just a few minutes away at the East Gloucester back shore. What a wonderful location! Lots of laughter, touching moments and hard partying made it such a great occasion. While a wedding day is a day of celebrations, it can be stressful as well. 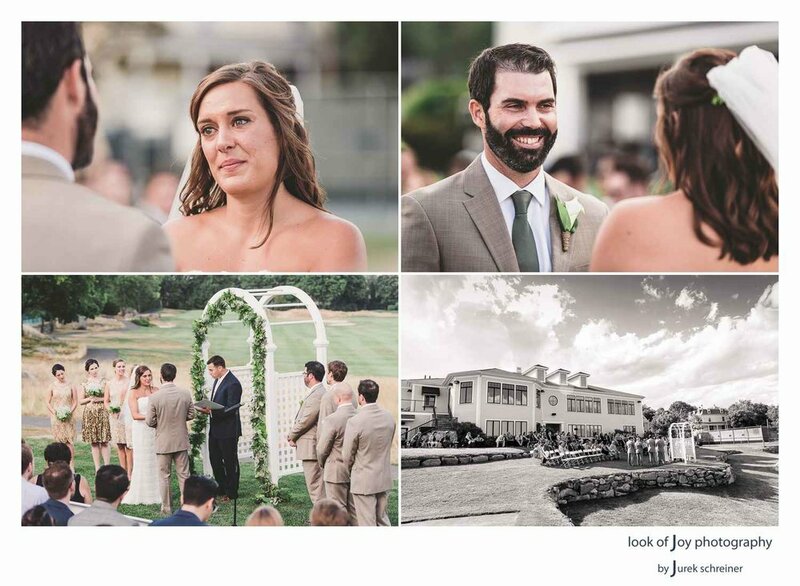 Katlin and Nate handled it like pros, yet they were really relaxed and fully enjoyed their special day.